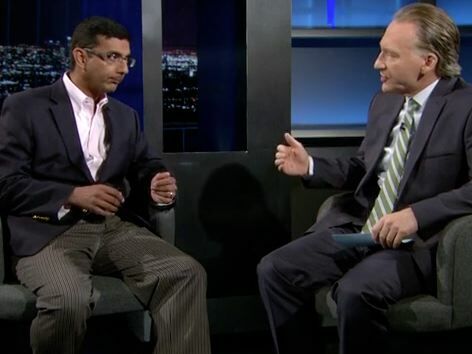 HBO's Bill Maher debates Dinesh D'Souza about his anti-Obama documentary, "Obama's America." Maher also argues with D'Souza about the comments he made about 9/11 that cost him his job with ABC. MSNBC's Harris-Perry Snaps: "I Am Sick Of The Idea That Being Wealthy Is Risky"
Bill Maher Defends Clint Eastwood: "He Killed"